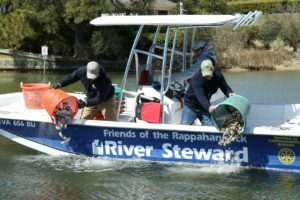 Join Friends of the Rappahannock River Steward, Captain Richard Moncure, and make your world a Rappahannock River Oyster! Depart at 9 am from the Tides Inn in Irvington, Virginia. Tour from the River Steward boat and load recycled oysters and distribute them at FOR’s reef sanctuary. Stop for lunch at the Urbanna Seafood and Raw bar. After distributing more recycled oysters, enjoy a swim and relaxing boat ride to end your day with cocktail hour at the iconic Tides Inn. Trips depart from the Tides Inn in Irvington, Virginia at 9:00am. Crew aboard the River Steward Boat will load recycled oysters from W.E. Kellum Seafood and distribute them on the Friends of the Rappahannock Reef Sanctuary. At the reef sanctuary there will be plenty of opportunity for hands on learning and discussions about FOR’s oyster restoration programs and ways you can get involved with protecting the Rappahannock River. Weather permitting, crew will cross the river for lunch on Robinson Creek at the Urbanna Seafood and Raw Bar where you will have your pick of some of the region’s freshest local fair. From there, the crew will load more recycled oyster shells to take to historic Urbanna Creek where they will be distributed on leased bottom designated for oyster restoration by Christ Church School and Restore Urbanna Creek Partnership. 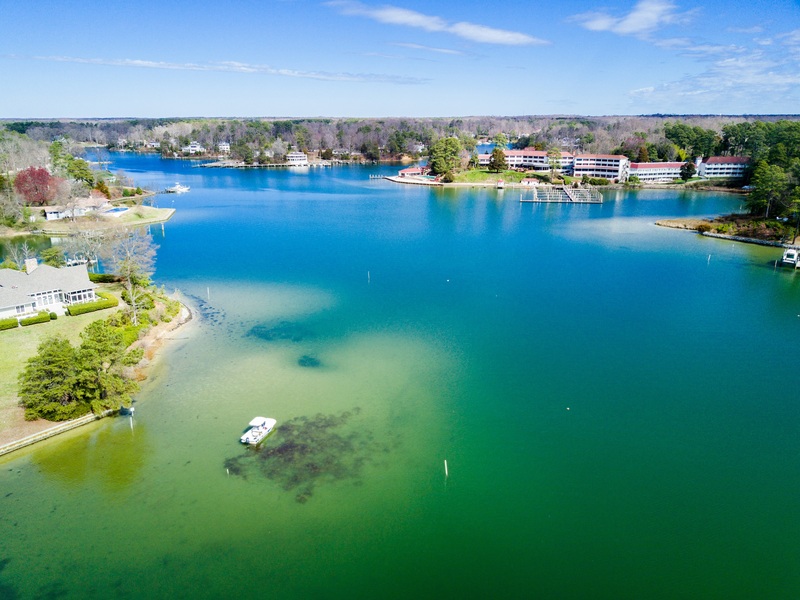 Following hard work and good food, participants can enjoy a relaxing swim and a boat ride back to Carter’s Creek in time for cocktail hour overlooking Carter’s Creek and FOR’s reef sanctuary at the iconic Tides Inn. Minimum trip size if four attendees registered in advance of the event date. All participants must sign a WAIVER and no alcohol is permitted on the River Steward Boat.